Where to buy Residential land for sale in Bangalore? Nag Projects developed several residential plots on the outskirts of the Bangalore city to ease the pressure on the core areas of the Bangalore town. Our experienced dealers are committed to provide the best valuable sites to real estate clients from real estate development in Bangalore. Creating residential plots, sites, Real estates, lot of properties and land for sale in Bangalore. Our mission is to create luxurious residential land for sale in Bangalore. 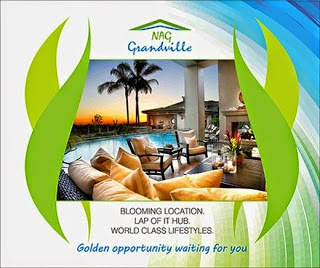 Nag Project developed lot of residential plots to the satisfied real estate clients spread all over Bangalore. The company has been instrumental in setting benchmarks in developing residential land for sale in Bangalore Metropolitan Region by using well experienced real estate dealers. Nag Projects are close to Anekal Railway Station, N.H7 Hosur Road, well developed layouts and villas, schools,colleges, Hospitals, Police Station, Taluk office, Registration office, Shopping complex, Market place, Engineering College, Arts college and Medical College. Additionally Nag properties are situated near to Satellite Town Ring Road(STRR) and Anekal Town Ring Road(ATTR).